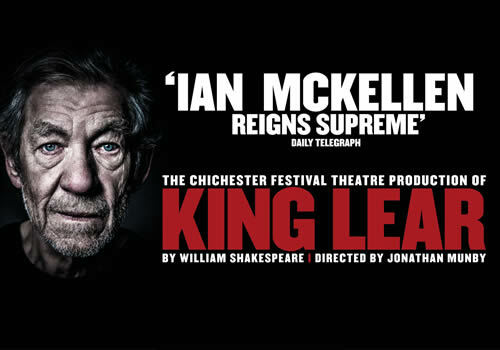 After a sold-out season at Chichester Festival Theatre, Jonathan Munby’s critically-acclaimed production of King Lear transfers to the West End, starring Ian McKellen in the legendary title role. Running for a strictly limited 100 performances at London’s Duke of York’s Theatre, the moving and epic drama sees half of the Stalls seats removed for a more intimate show. 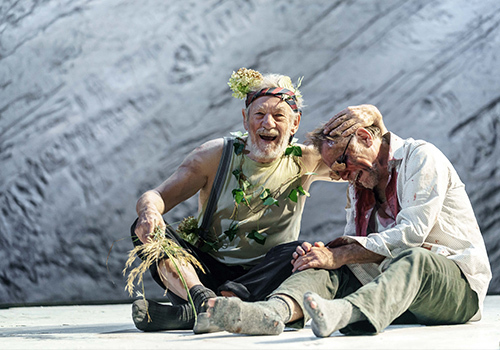 Shakespeare’s best-known tragedy, King Lear is the harrowing story of two fathers who reject the children who truly love them, as greed and blindness take over. Treachery becomes rife between Lear’s remaining daughters, whose brutal ambition plunges the entire family into a violent civil war, with fatal consequences. 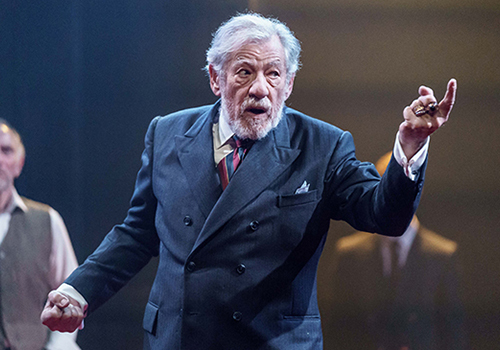 Ian McKellen stars as Lear, in the theatre that he made his West End debut, in the 1964 production of A Scent of Flowers. 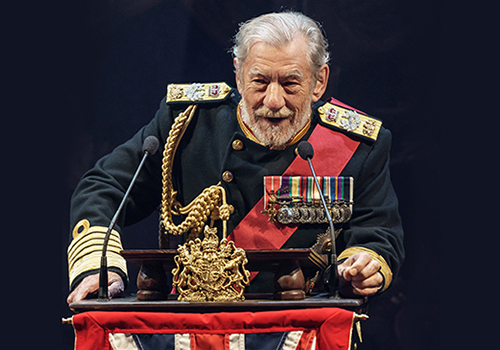 Well-known for his illustrious career on stage and screen, film credits include the famous Lord of the Rings series, Vicious, The Dresser and Mr Holmes, whilst theatre credits see him cover iconic roles in Hamlet, Macbeth, Richard III and a recent turn in No Man’s Land at Wyndham’s Theatre. Kirsty Bushell reprises her role as Regan, alongside Sinéad Cusack as Kent, Michael Matus as Oswald and Danny Webb as Gloucester, as well as Richard Clews, John Hastings, Jake Mann and Caleb Roberts, who all return after the Chichester run. Further casting for the West End production includes James Corrigan as Edmund, Anthony Howell as Albany, Lloyd Hutchinson as Fool, Claire Price as Goneril, Daniel Rabin as Cornwall, Luke Thompson as Edgar and Anita-Joy Uwajeh, as well as James Millard, Johanne Murdock, Jessica Murrain, Scott Sparrow and John Vernon. King Lear is directed by Jonathan Munby, who directs a new production of Bryony Lavery’s Frozen at the Theatre Royal Haymarket. The production features design by Paul Wills, lighting design by Oliver Fenwick, music and sound design by Ben and Max Ringham, movement by Lucy Cullingford and fight direction by Kate Waters. 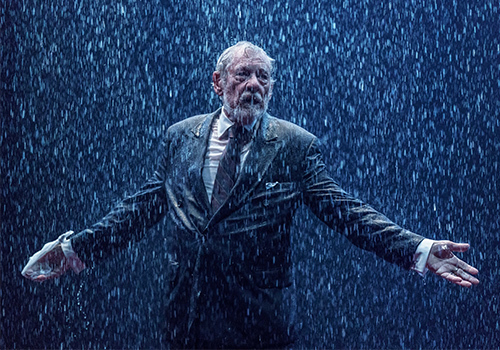 A major West End transfer that sees a theatre legend in the title role, King Lear is catapulted into the contemporary, observing familial and political travesties. The pertinent production plays at the Duke of York’s Theatre from July 11th to November 3rd 2018, with an official opening on July 26th 2018. King Lear may not be suitable for young children.